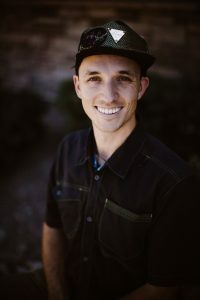 Today we have a conversation with Kyle Gray author of the book The Story Engine: An entrepreneur's guide to content strategy and brand storytelling without spending all day writing. He has helped hundreds of startups and small businesses create scalable content marketing strategies. His book The Story Engine outlines his process for making content marketing and brand storytelling easy and effective. Monica Rivera hosts the “You Wanna Do What” podcast (giving you the nudge you need) and she recently celebrated her one year anniversary and shared how she was selected to take part in an NPR program where she will go to Seattle to work side by side with NPR on a story. The best part of Monica's story is her attitude and how she took the negative of rejection and turned it around and used it for success. Check out her one-year “13 Lessons Learned” anniversary show. 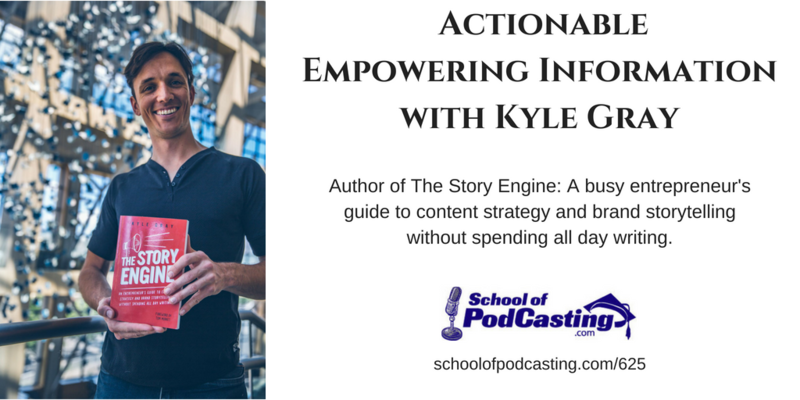 In today's conversation, Kyles shares some of his favorite tools to create content and explains strategies to identify problems and create actionable content with lead magnets to grow your list, enhance your network, and move forward toward building your business. Kyle has worked with many well-known brands and businesses like AdEspresso, Advance Your Reach, WP Curve and Self-Publishing School. [5:23] What is Good Content? [09:08] What are realistic expectations for traffic? [12:50] How long does it take to make great content. [16:20] How important are keywords? [19:55] What examples can you share of covering a problem from multiple angles? [21:05 ]If you could only pick three tools to help with your content, what would you pick? He was talking about blog posts, and we are talking about podcasts but we still have nuggets. In the end, we are all content creators. So you heard in this interview where he is not winging it; there is planning. He does things other people may not be doing like finding graphics to go with the episode. He said that even if you spend hours on your content, it may take months before you start seeing any measurable traffic. So if you're looking to get rich in six weeks, this is not for you. I love that good content helps your audience. You may think that all of this discussion is for business, but if you're doing a comedy podcast your audience's problem may be that they just watched the news or had a bad day at work, and it's your job to find a way to make them smile. He talked about identifying some key problems for your audience and making a lead magnet to give away that helps solve them. This is a great strategy that not everyone does, but that's because it takes time. A cool graphic could be a picture of your guest with a quote you pulled from the interview. Focus on the relationships. It is these relationships that help on the way up, and also if things go the other way. Jordan Harbinger utilized to rebuild his show with his network. How do I know if my podcast in the Google Podcast App? What If I'm Not in the App? Do I Need to Be In Both Google Podcasts and Google Play Music? Yes. I personally don't see Google Play Music makes it to 2019. I have no information, but it's just a feeling. What Kind of Features are in the App? 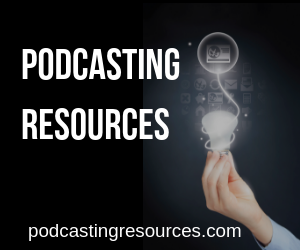 Ready to Start a Podcast or Grow One You've Already Launched?